“ Online Custom Tailoring Platform ” is an exciting, constantly evolving Internet Business. It also takes a lot of work. It can be incredibly competitive. If you want to become a successful custom tailors, You have a amazing road ahead of you, but there are few straightforward steps you can take to begin the tailoring process. @Fit4bond created a platform for entrepreneurs & custom tailors to start custom tailoring/clothing sites at low price. It is a custom clothing design software that includes amazing features list. 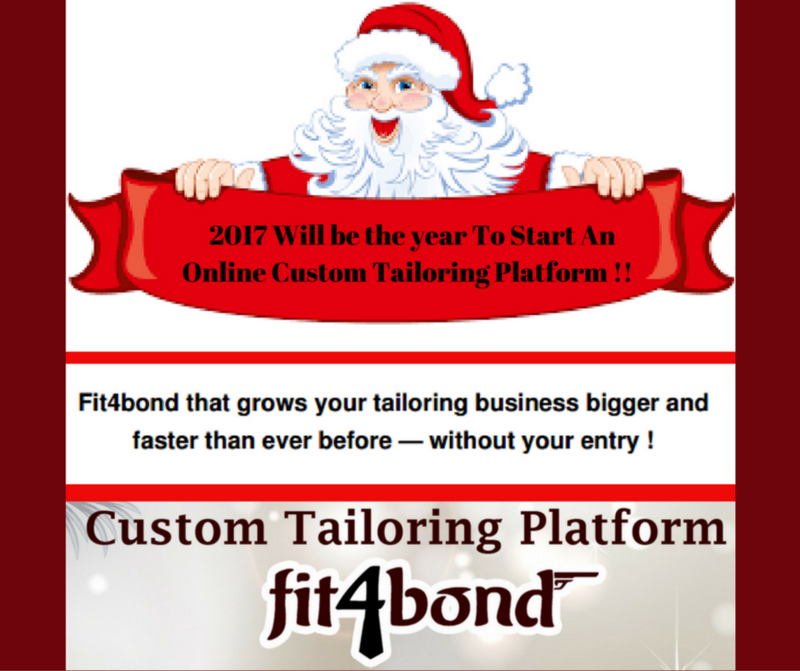 @Fit4bond - Creates top level profit margins for online custom clothing businesses. This business has been in first place for a long period of time. So you don’t worry about the field while chossing. The booming business model of custom clothing website has increased the demand for an amazing solution and fit4bond is the best platform. It is quick setup, which allows entrepreneurs & custom tailors to start own custom clothing websites seamlessly . Custom cloths website script is a well-designed package for young entrepreneurs & custom tailors that offer advanced features at affordable pricing. If you are ready to start your custom clothing website, fit4bond is ready to serve the ready made solutions to you ! It will embrass you ! You will feel that you are at right solution for your entire online store requirements. Enjoy the online business features with your fashionable customers ! Just see custom clothing designing tool with 3D product presentation ! Try a free demo ! !